Milka Djordjevich is developing material for her new dance work ANTHEM. Questioning contemporary dance’s post-Judson predisposition towards neutrality, authenticity and de-sexualization of the female body, ANTHEM embraces theatricality, sass, virtuosity and the performance of invented female personae. The dancers attempt to dismantle the gaze through its reclamation, developing gender-bending alter egos. The quartet’s individual and collective effort creates a dance juxtaposing glamour, failure and (in)authenticity. The choreography is layered together out of existing, outmoded and invented dance styles, creating a dance as an act of consumption as well as a mode of production. Using pizzazz and a deadpan sense of humor, the dancers will create a space for misbehavior. Milka Djordjevich is a dance artist motivated by a desire to blur the distinction between ‘dance’ and ‘non-dance’ by attempting to un-choreograph choreography and choreograph spontaneity. 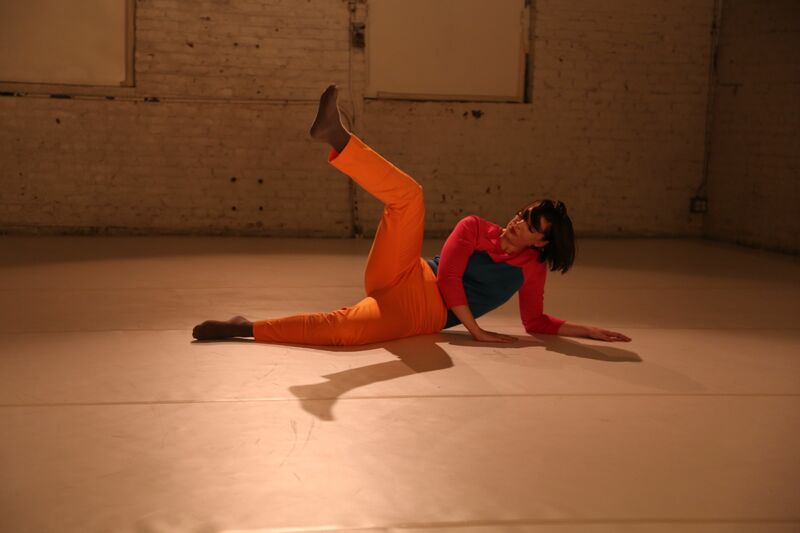 Her work has been shown at several venues including REDCAT, Pieter, Machine Project, Showbox LA/Bootleg Theater and HomeLA (Los Angeles); the Kitchen, the 2010 Whitney Biennal, the American Realness Festival, the Chocolate Factory Theater, Danspace Project and AUNTS (New York); Counterpulse and The Garage (San Francisco); Uferstudios (Berlin); Bitef (Belgrade); Artdanthe (Paris); WUK (Vienna); Fabrik (Potsdam); Solo in Azione Festival (Milan); Toihaus Theatre (Salzburg); Gateshead International Festival of Theatre (UK). She has received funding from the Suitcase Fund, the Foundation for Contemporary Arts and the Center for Cultural Innovation ARC, as well as residencies at Fabrik Potsdam, PACT-Zollverein, Workspace Brussels, UCLA Hothouse, ARC Pasadena, LMCC Swingspace, Abrons Arts Center, among others. Djordjevich was a 2006-2007 Movement Research Artist-in-Residence and a 2008/2010 danceWEB Europe Scholar. Her other projects include co-curating the Movement Research Spring Festival 2008: Somewhere Out There, serving as guest editor for Critical Correspondence and curating the Monday Morning Class series at Pieter. She has co-authored works with composer Chris Peck and choreographer Dragana Bulut and has performed for Heather Kravas, Jennifer Monson, Elizabeth Ward, Sam Kim, Sasa Asentic and Ana Vujanovic, among others. Djordjevich received a B.A. from UCLA and an M.F.A. from Sarah Lawrence College.